The Office Chic: Be Glamourous Day & Night with Benefit Cosmetics + Matthews Williamson The Rich Is Back! Makeup Kit | Review, Swatches & GIVEAWAY! 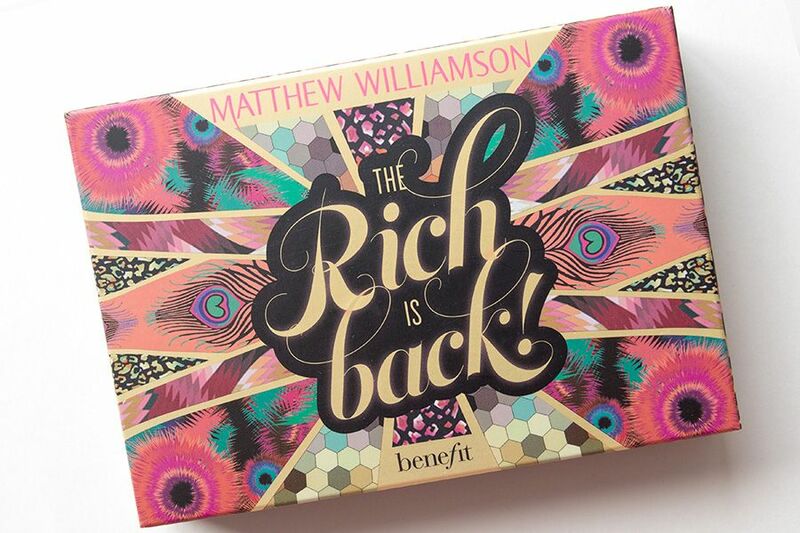 Be Glamourous Day & Night with Benefit Cosmetics + Matthews Williamson The Rich Is Back! Makeup Kit | Review, Swatches & GIVEAWAY! 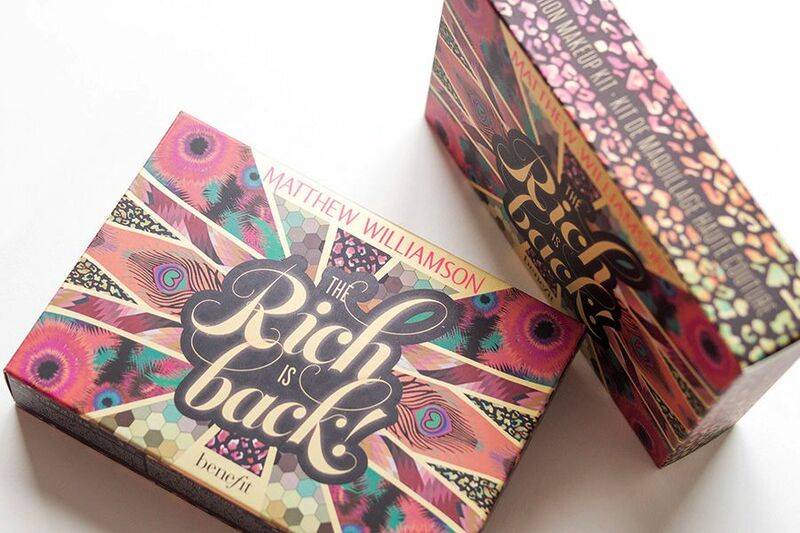 In celebration of Sephora's 15th Anniversity, Benefit Cosmetics teamed up with British Fashion Designer Matthew Williamson to create limited edition The Rich Is Back Makeup Kit* (CA $40 / US $34) that is exclusive to Sephora. Being a master of colour and glamour, Matthew Williamson featured some of his "favourite iconic prints" with kaleidoscopic colours on the design of the palette. I absolutely love the cover art, inside and out. It is just so much fun and colourful. 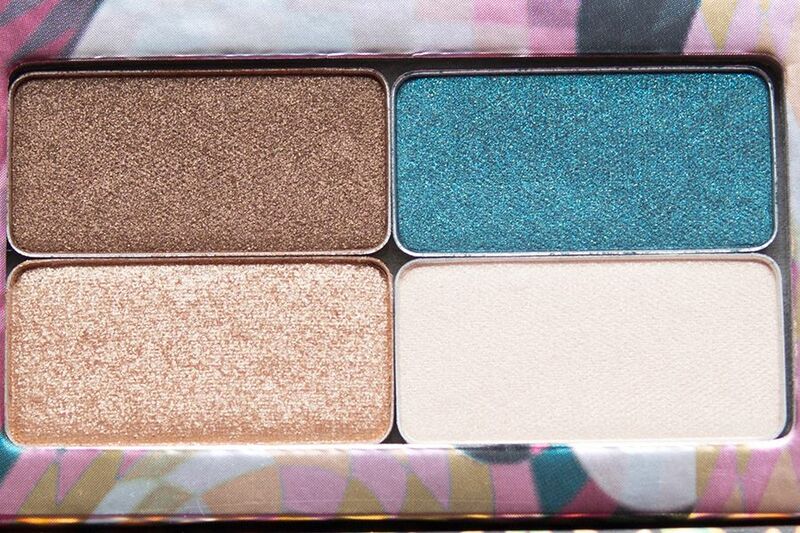 The makeup kit comes with 4 eyeshadows: Solid Gold, Get Down Brown, Disco Dust, and Feel So Teal. Each of these eyeshadow are soft and blend out nicely. 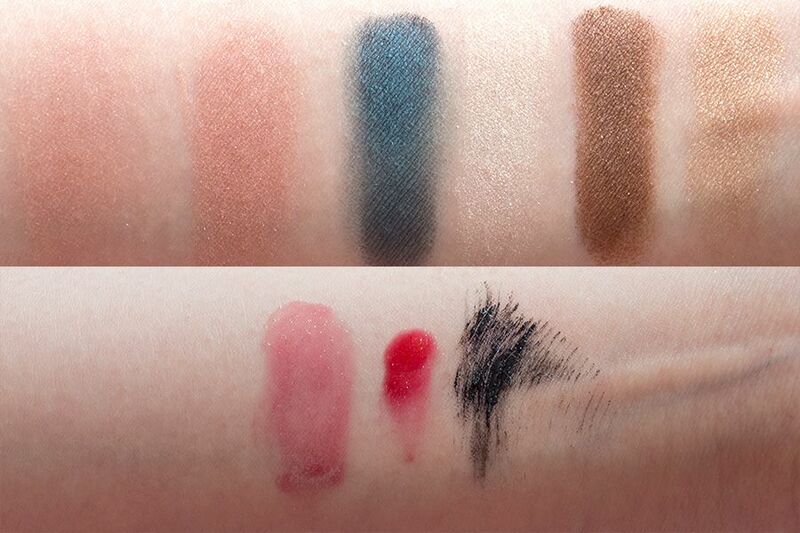 While these are not the most pigmented eyeshadows, you can definitely layer the shadows and it won't look chalky. The look still maintains its smooth texture when it's builded up. I experience a little bit of fallouts with Solid Gold, which is expected because of the glitter. The wear of these shadows is quite decent, they last through an 8 hour work day with a primer until I notice some fading towards the end of the day. 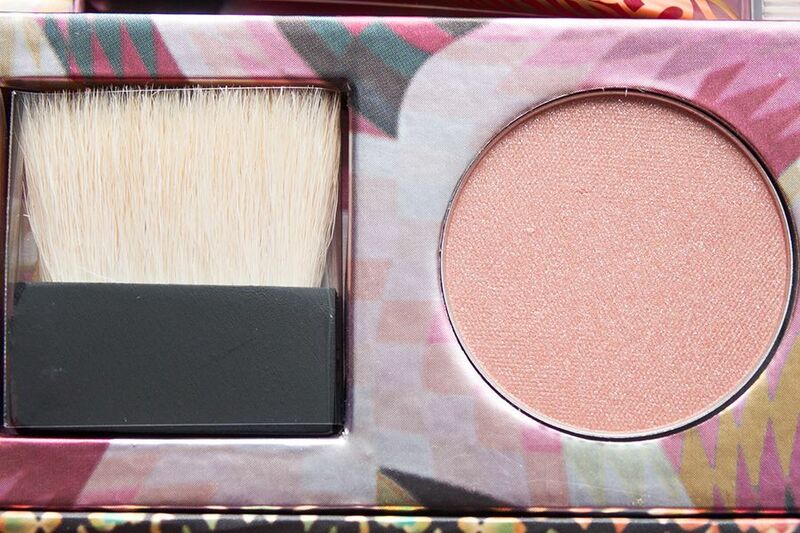 The Gimme Fever Cheek Powder is warm blush pink colour with a little bit of shimmer. I quite enjoy using this blush over Cha Cha Tint or Posie Tint, but this colour on its own gives a nice rosy flush to your cheek, which is perfect for summer. It might look quite light, but it actually shows up really well your skin. I think it could be similar to Hervana where it still show up as a natural flush on deeper skin tone. As for the Inferno Lip Gloss, it is a berry red with gold shimmer. 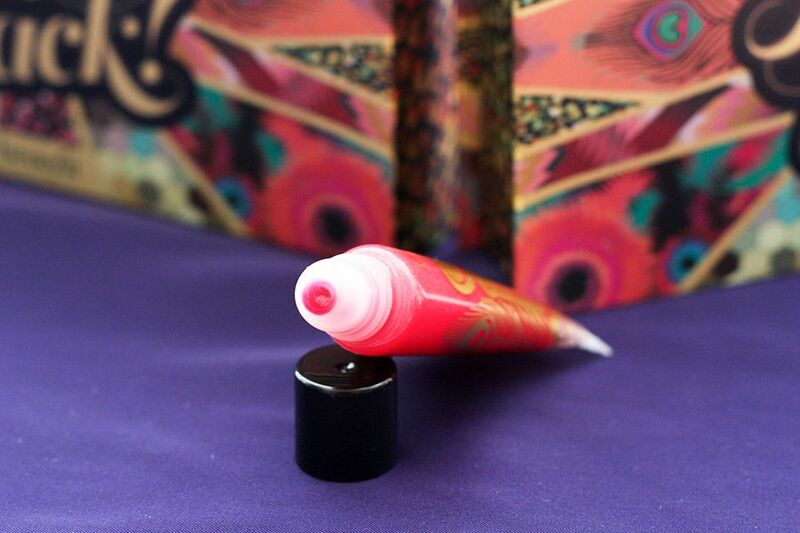 I love the silky smooth feeling of this gloss, and it's not the sticky type of lip gloss. It has just the right amount of pigmentation that I usually look for in gloss. Kind of transparent and has a tint of colour in it. It can also be built up to a more intense red gloss, but I like to apply lightly for a berry red tint. It has the same cherry candy scent that is present in other benefit lip gloss which lingers for a minute of so. This kit also comes with They're Real Mascara, which will be a whole separate review. 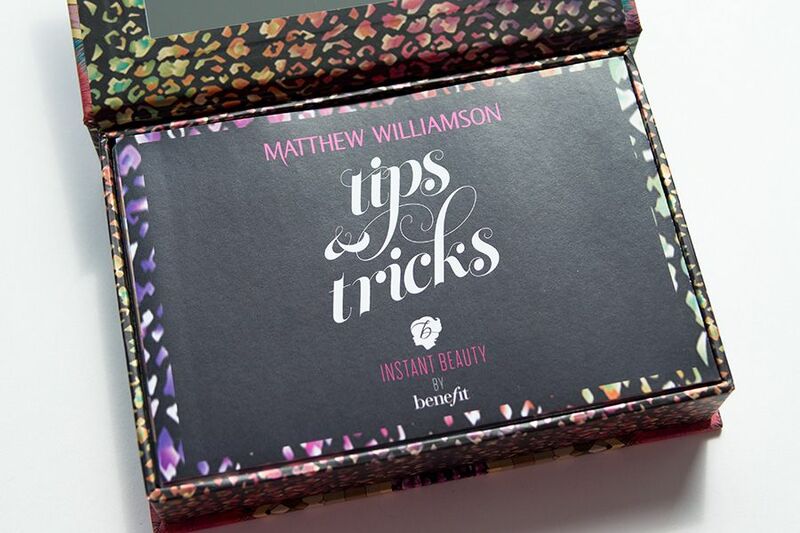 It also comes with a tips & tricks leaflet for those of you who need some help or just some inspiration to get the look. The selection of shades takes you from day to night: you can use Solid Gold, Get Down Brown, and Disco Dust for a day look, and add some Feel So Teal if you're going out at night. Whereas the blush, lip gloss and mascara, they can be easily incorporated in both day or night looks. Benefit Makeup Master Jose Rivera suggested to use the Feel So Teal on the outer corner by following the natural curve of your lower lash line (extending it to find the right shape). For gals with deep set eyes like mine, he suggested to try using it on our lower lash line to add that pop of colour. I feel that this is a great kit for Summer. For me, I would like a matte shade, because I'm a matte eyeshadow kinda girl (if Get Down Brown is matte, it will make me a very happy girl). But that doesn't take away the quality of the palette. While the eyeshadows are not the most pigmented, it can be built up. I especially like the blush and the lip gloss because the blush gives a natural flush, while the gloss gives just bitten lips. 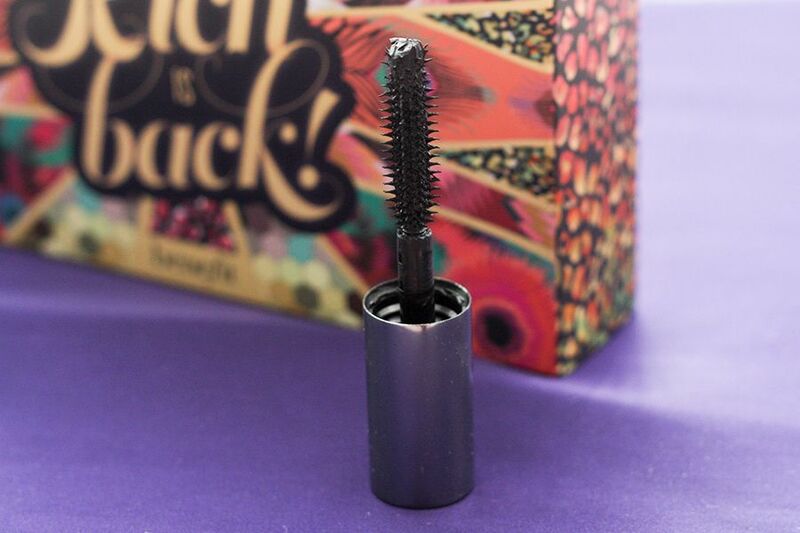 They're Real mascara is also a nice bonus, because it's just a great mascara. Not to mention this kit has one of the most beautiful packaging I have ever seen. I wish they make a poster or a wallpaper in that print. We're not done yet! If you missed out on the Flash Sale that happened 2 weeks ago, don't worry, I got you covered. The Office Chic is holding a Giveaway on The Rich is Back! Makeup Kit to celebrate its launch! See below gadget for details of the giveaway! Shot during sunset... The left one is mine, and the right one could potentially be yours! More review please! Love them! Stumbled upon ur blog while checking for reviews on benefit hervana.love the quality of your photos! I'd love to see more on skin care tips for the best make-up application! Also, product reviews are always great! More giveaways would be great!! Reviews, stuff only for Canadians! I love your battle of the brands post because i love to find cheaper alternatives, etc! And I know this isn't blog related but i also love your instagram pics! I would love to see more product comparisons. This is also a super awesome giveaway, thank you! In addition to your news posts I appreciate your reviews. I especially like your Real Techniques brush post! Would love to see tutorials! Awesome review! Might be picking up one of these bad boys! I'd love to see more reviews! I love Benefit's packaging. It's always so eye-catching. I would love to see more hair ideas and tutorials. Anything to do with hairstyles and products/accessories! Love hauls and more beauty product review. 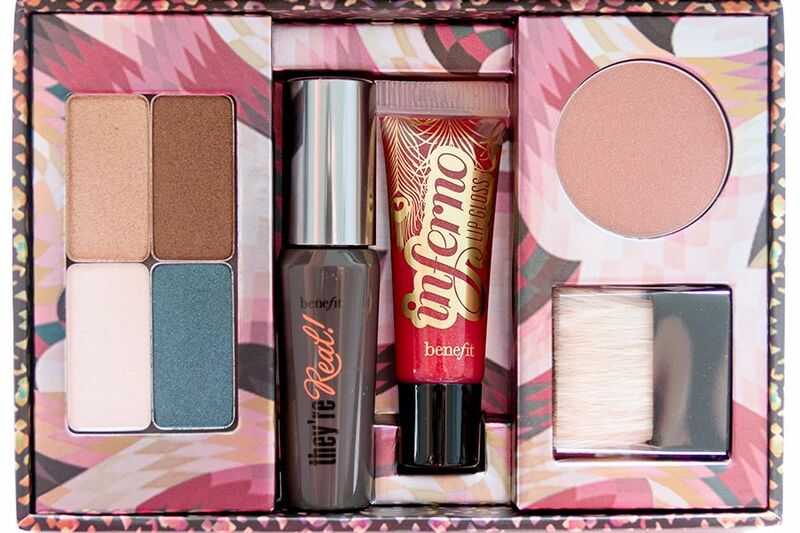 lovely packaging, benefit do cute makeup. Too bad about country restrictions though!! I see them all over shopping websites but I cannot buy them because I does live in the US and stuff. So bummed out about that. I found your blog because of a review so I like those. Tutorials are also nice. I would love to see more eye make-up tutorials and beauty product reviews. Great giveaway! 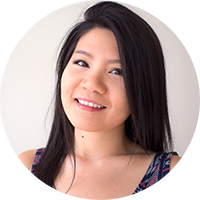 I'd love to see more BB cream reviews! I love reading product recommendations, especially with summer approaching! Thanks for the blog and the giveaway! I would enjoy seeing a drugstore brand review. That would be fun. A BB cream review too.